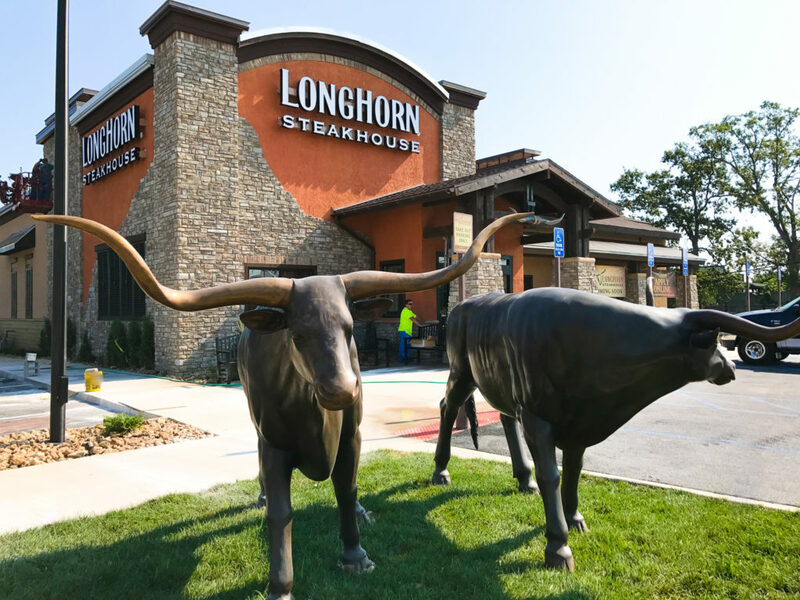 April 2019 – Minneapolis, Minn. – Founded in Atlanta Georgia, LongHorn Steakhouse is a staple restaurant for steak lovers around the country. The brand continues to grow since its doors opened in 1981 and with the help of the designers at FRCH NELSON and the structural team at KOMA there is no end in sight. As LongHorn puts it, as long as there are steak lovers to feed, the LongHorn legend continues…and we at KOMA don’t believe steak lovers are going anywhere anytime soon. KOMA began working with the LongHorn Steakhouse (owned by Darden Restaurants) team in 2008 and has currently done the structural design for over 200 LongHorn restaurants around the country. Cincinnati based architects FRCH NELSON introduced KOMA’s structural engineers to the team after working with them on American Girl at Mall of America. It was at this time that the restaurant embarked on a rebrand of their prototype; transforming the style of the restaurant from roadhouse to ranch. Since that time, the prototype has had several variations to the design such as the front entryway. The dining area also contains exposed trusses now, creating a more open and bright space. Structurally, variations within the prototype are largely dependent on the location within the country – the site the restaurant sits on, and what city and state it is located in. Poor soil conditions may require a specialized foundation systems. Coastal cities may be located in hurricane areas and require a steel roof and masonry walls versus the typical wood building with wood roof joists. Other locations may be located in seismic areas. Another element that affect the structural prototype are the mechanical units. Depending on the climate, the mechanical units can change affecting its size which may require a change in the weight of trusses.